A new study presented at the Royal Economic Society’s 2011 annual conference says the gender pay gap could be a result of boys being more competitive than girls. The study found that girls often choose not to compete, even if they are confident they will win. The experiment tested over 1,000 children and teenagers between the ages of three to 18 and involved two experiments, which were conducted by Professor Matthias Sutter and Daniela Rützler at the Iza research institute in Germany. The younger children (aged three to eight) took part in a 30m sprint, while older children (aged nine to 18) faced an easy maths challenge, adding up two-digit numbers. 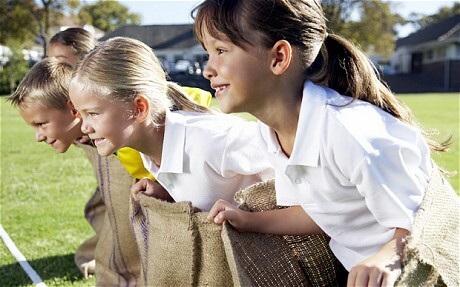 In both experiments, the children had to choose whether to perform the task individually or in competition with others. Although the girls’ maths performance was just good as the boys’, girls expected to do much worse: while roughly two in five boys chose the tournament, only one in five girls did so. Results were similar in the sprint, with girls significantly less likely to want to compete despite having a similar chance of winning. What do you think? Could this be one of the reasons the gender pay gap still exists?